Walking the Manor’s graveyards can lead to amazing discoveries. Name the site and importance of this cross. 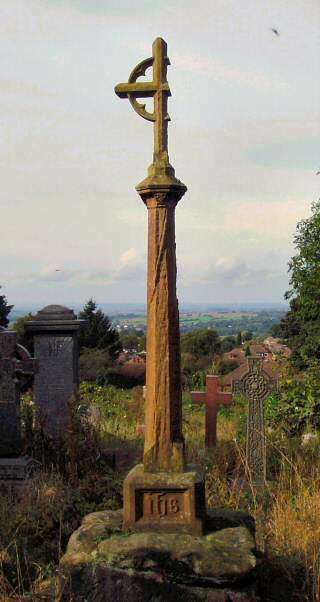 The cross can be found in the ‘new’ graveyard of All Saints Church on the north-west side of Gospel End Street in Sedgley. The stone socket has been identified as C14th – part of the Manor’s preaching cross. This was originally positioned on the south side of the previous church and the ancient stone probably remained outside the present church until the 1870s. The addition of a new shaft and lower steps would appear to date from the re-erection. Christine Buckley clarified the cross’s first position and mentioned the present day National Monument listing.